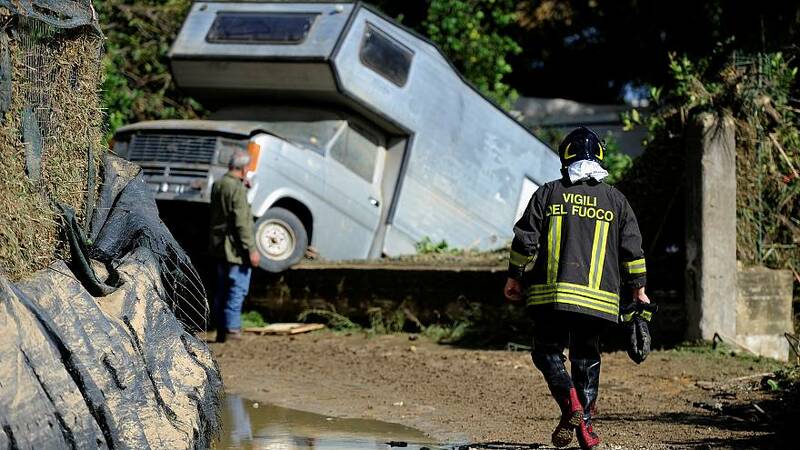 Italy is to declare a state of emergency following storms that have killed at least 30 people. Nine members from two families died in Sicily when their holiday home collapsed. "We ran from room to room,” said Giuseppe Giordano who lost his wife and to children in the tragedy. “My son Federico, carrying one of the children said ‘Dad, I will hold her up’ and all of a sudden I saw all the windows go dark, and I took the keys of the car to try to get out but then the window exploded, the wall fell in and the lights went out." During a visit on Sunday to one of the stricken regions, Italy's Interior minister Matteo Salvini said 250 million euros had already been earmarked for relief but that up to 40 billion euros would be needed to safeguard Italy against such events in the future. Italian Prime Minister Giuseppe Conte spoke of "an immense tragedy" during his visit to affected areas in Sicily. He said a cabinet meeting would be convened this week to declare a state of emergency and come up with the first package of aid. According to an agricultural association spokesperson it will take at least a century to recover after such devastation.